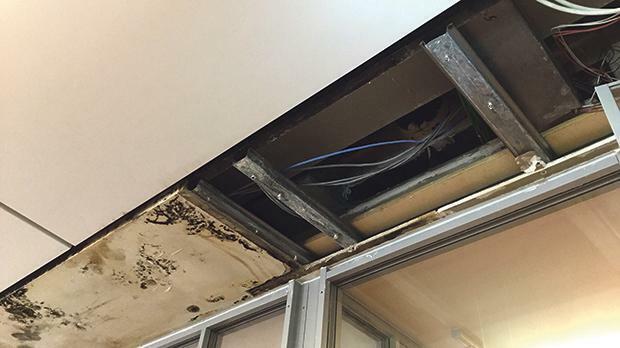 Valletta’s iconic parliament building is leaking during bad weather, raising concerns of structural and equipment damage, Speaker Anġlu Farrugia warned on Monday. “This is a problem that started three years ago, and has been getting worse year-on-year, something really needs to be done as this has become an extraordinary situation,” he said. Dr Farrugia was venting his frustrations during a press conference on the upcoming 5+5 dialogue meeting being held in Malta this week. 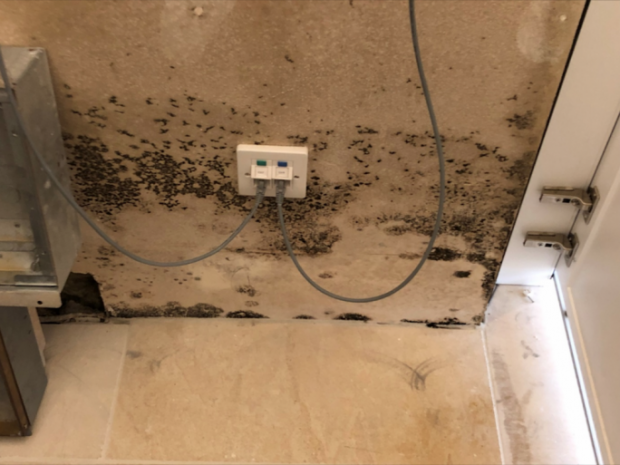 Holding photos of mould-covered walls and rusting steel work caused by “constant leakages”, Dr Farrugia told reporters that water seepage was affecting several parts of the building from the administrative block, to the emergency exit, and even the building that houses the main chamber and some bathrooms. “I am not a contractor, and I did not build this building but there are a lot of issues. On our end, as the lessee and not as the lessor, we have carried out maintenance and upkeep, even going beyond what we should do, but there are problems that need solving, particularly when it comes to flooding,” he said. An irate Dr Farrugia said it was clear that the building, designed by world-famous architect Renzo Piano, had not been finished properly, saying even glass panes and doors had not been fitted properly. He was in touch with the Grand Harbour Regeneration Committee on the matter, but urged the competent authorities to intervene to save the country’s highest institution from major structural damage. The building at City Gate in Valletta was constructed between 2011 and 2015 as part of a project to transform the entrance to the capital. Dr Farrugia warned that it was only a matter of time until the electrical and IT systems were damaged, which could have serious repercussion on the functioning of the institution. Last month, Times of Malta reported on the problem of leaks in the building. Water trickled down from the ceiling in one room within the iconic Valletta building during a press conference held last month by the Democratic Party in a room used by the Opposition. Plastic containers were placed in strategic locations around the room to avoid damaging the parquet flooring. A stone veneer covering part of the ceiling has taken on a mouldy green hue as a result of the water seepage. Wiring could be seen in a panel adjacent to the veneer.